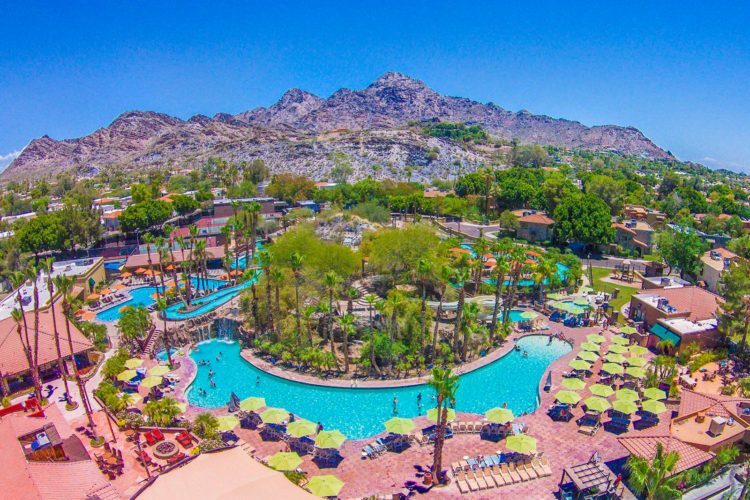 Father’s Day weekend at the family-friendly Pointe Hilton Squaw Peak Resort in Phoenix will be chock-full of fun for dad and the whole family. Create amazing memories and enjoy special rates from $139 per night for suite accommodations and lots of fun in the sun starting Friday, June 17. Little ones can put their creativity to work and create a custom tie for Dad ($5) offered poolside from 1-3 p.m. Later in the evening, guests can relax, cool off and enjoy a family-friendly dive-in poolside movie. The fun continues on Saturday with Dad Vs. Kids poolside challenges every hour on the hour from 12 – 4 p.m. including basketball shoot-outs, putting contests and more. Surprise dad on Sunday, June 19 with a Grillmaster Cooking Class at Hole-in-the-Wall where he can learn all about seasoning, marinating and barbeque. He will even learn how to create his own signature dry rub! The resort’s Tocasierra Spa is also offering spa specials just for dad like the Ultimate Sports Recovery Massage and more. Pointe Hilton Squaw Peak Resort is located at 7677 N 16th St, Phoenix, AZ 85020.